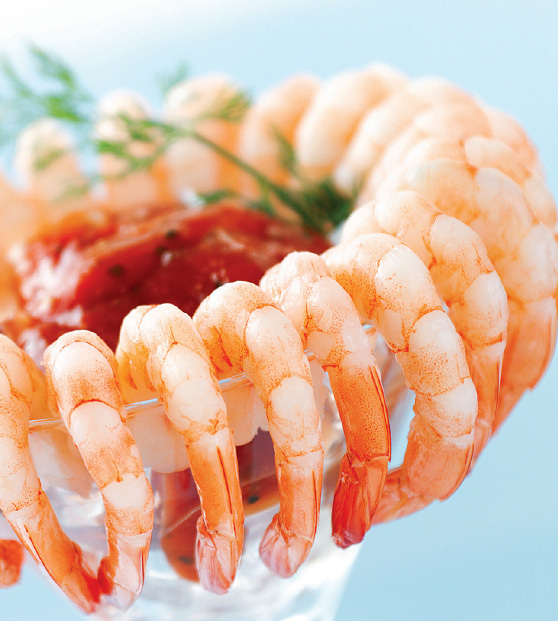 Hatcheries, farms, state-of-the-art processing facilities, warehousing, and distribution. 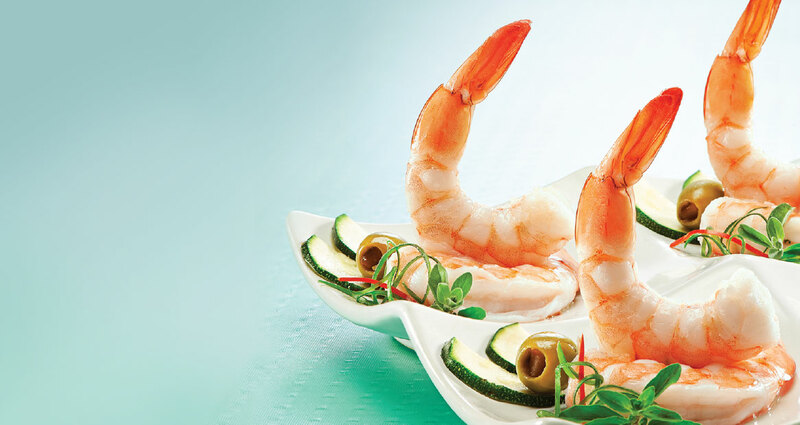 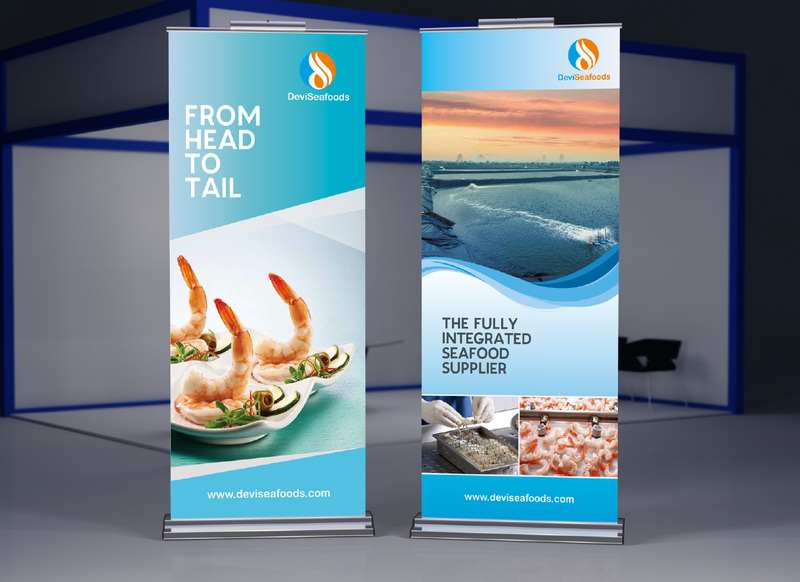 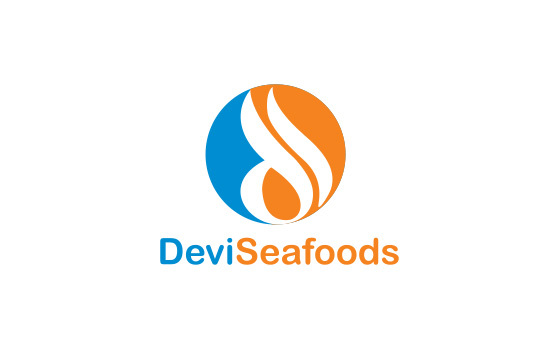 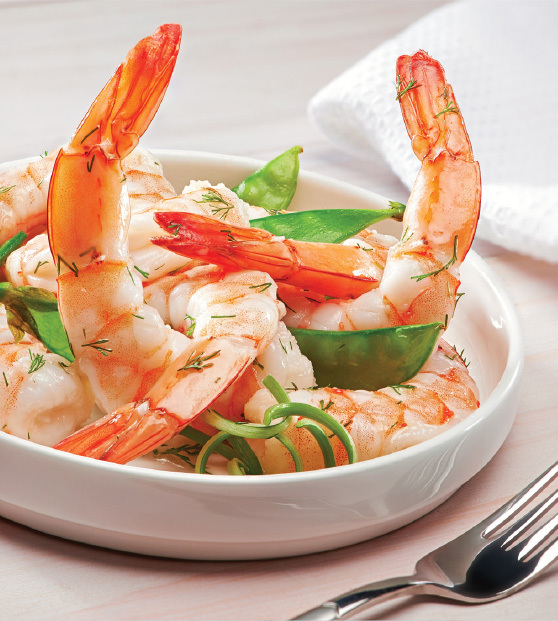 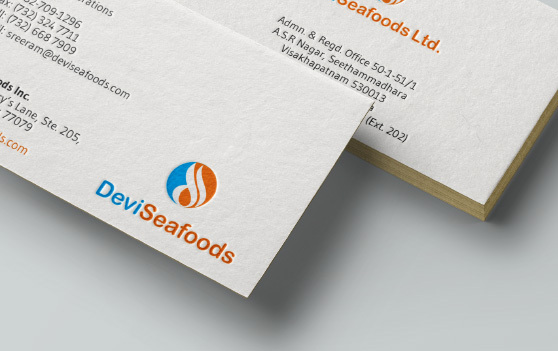 With over two decades of experience in the seafood industry, Devi Seafoods, one of India’s largest shrimp exporters is a fully integrated seafood company. 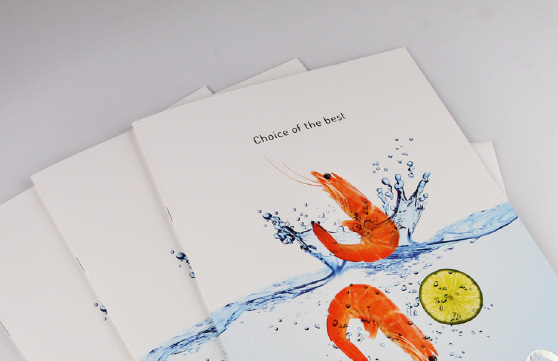 Graycell was commissioned to design all of their print work as well as product photography. 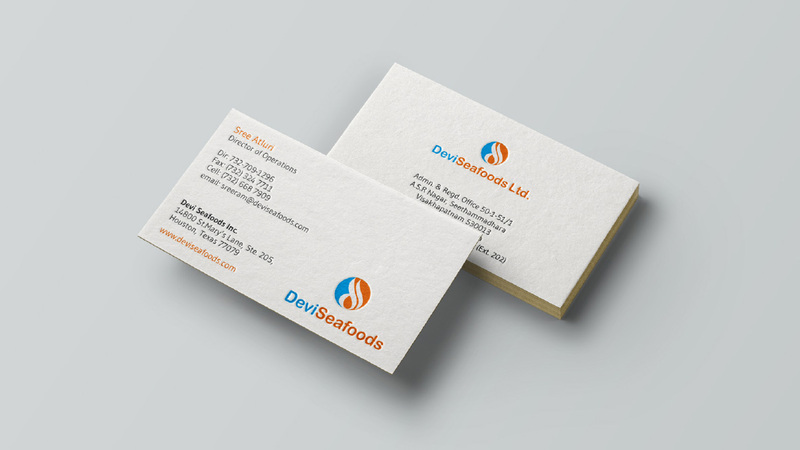 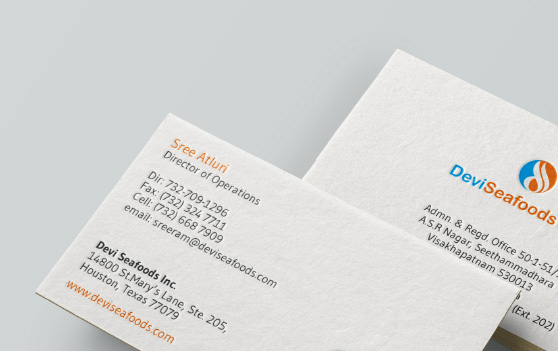 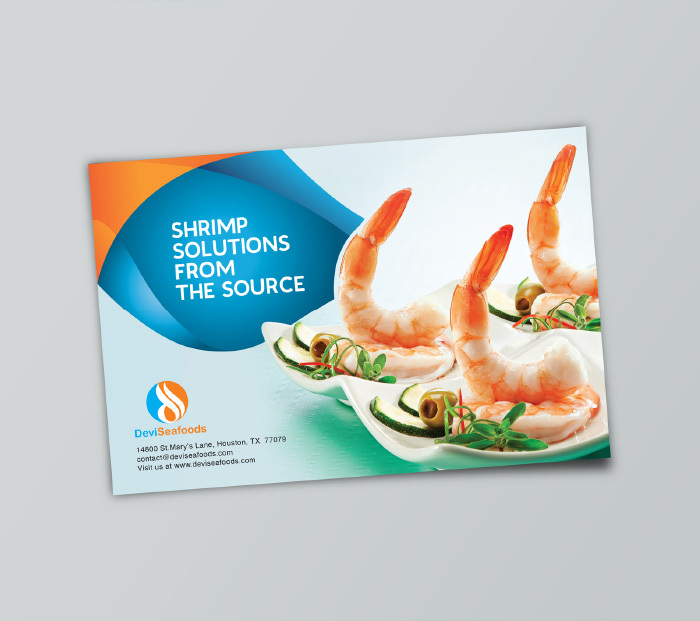 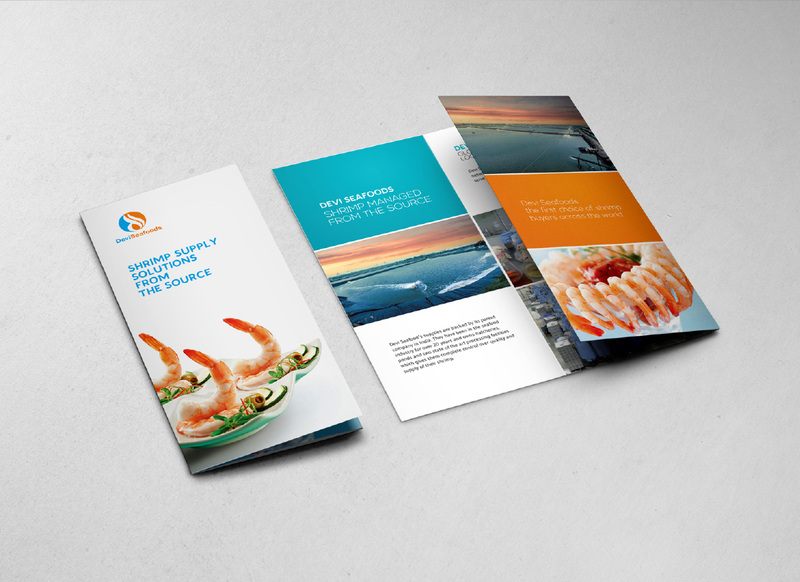 Since their entire product line is fresh seafood that is instantly frozen and exported, a unique and appealing concept was used across all of their design material. 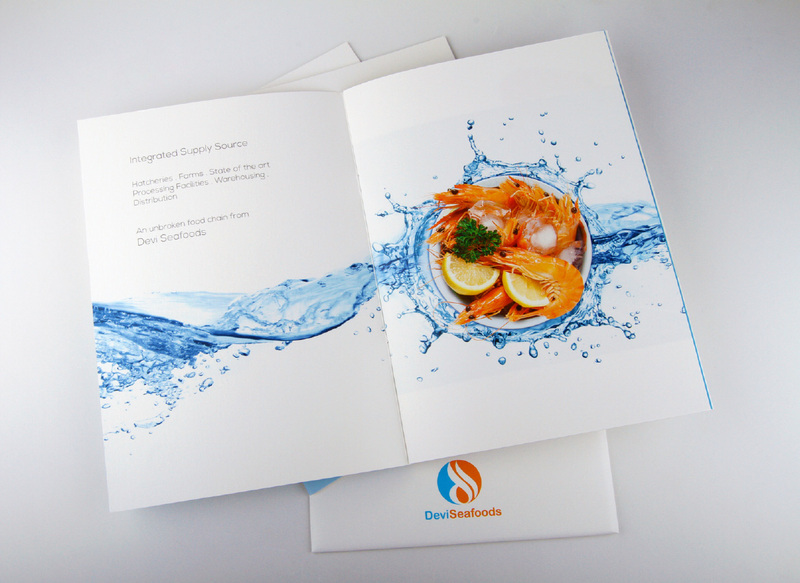 Water is the underlying theme used to create the image of fresh catch. 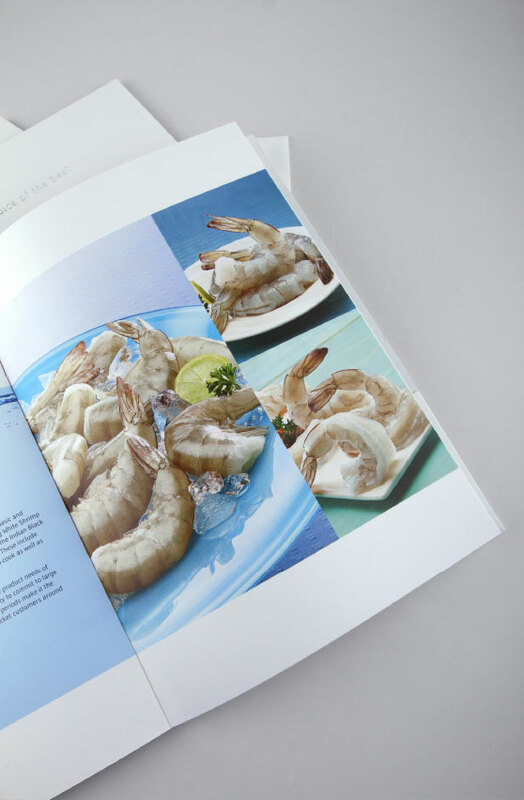 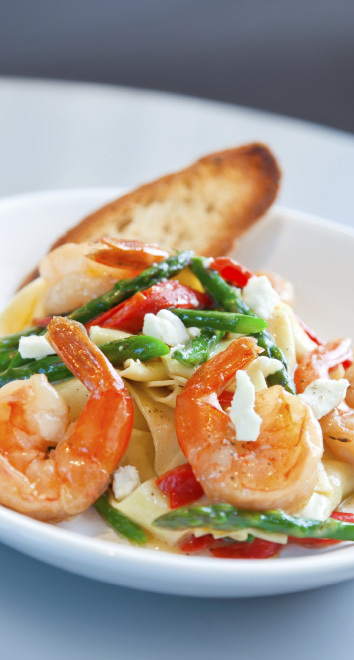 The dynamic movement of water enhances the concept of fresh seafood and makes the images come alive. 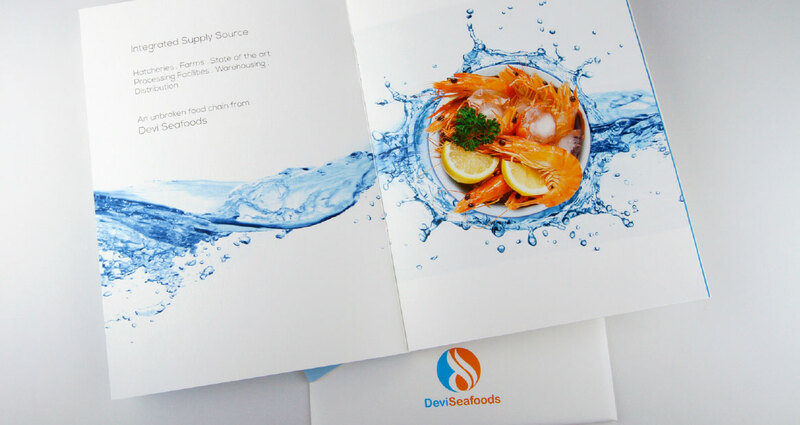 To meet their need of print material at trade fairs, we designed a smaller, more cost-effective format of the main brochure that covered important company and product information. 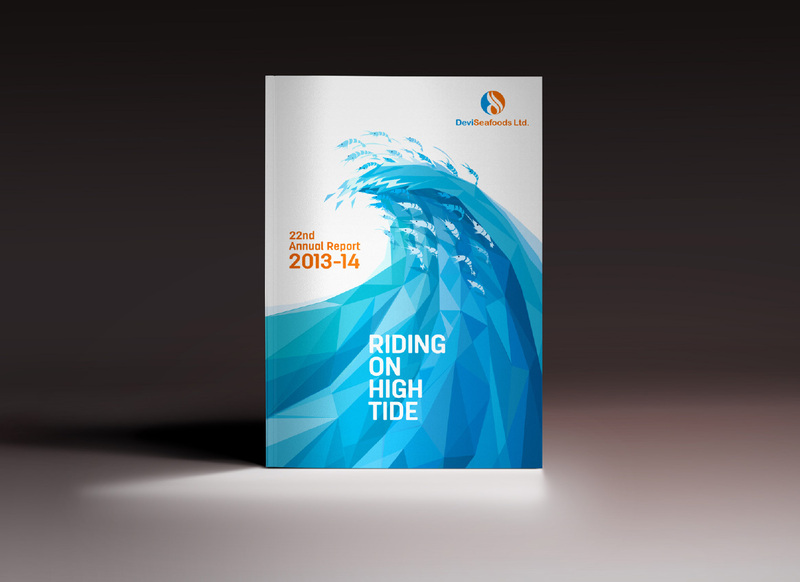 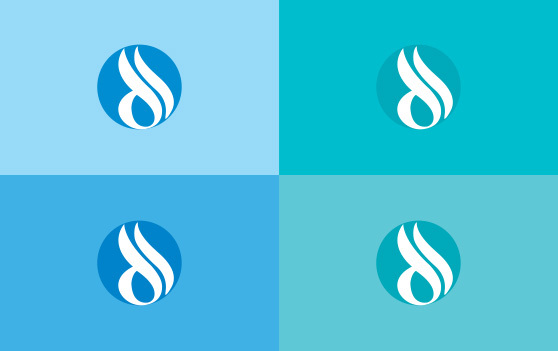 The design and illustration for the annual report was born from the phrase, ‘Riding on High Tide’ to also reflect the consistent success of their business. 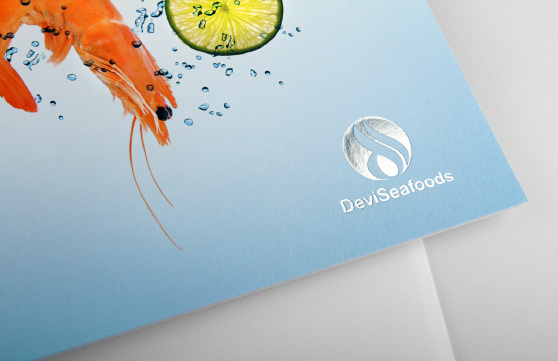 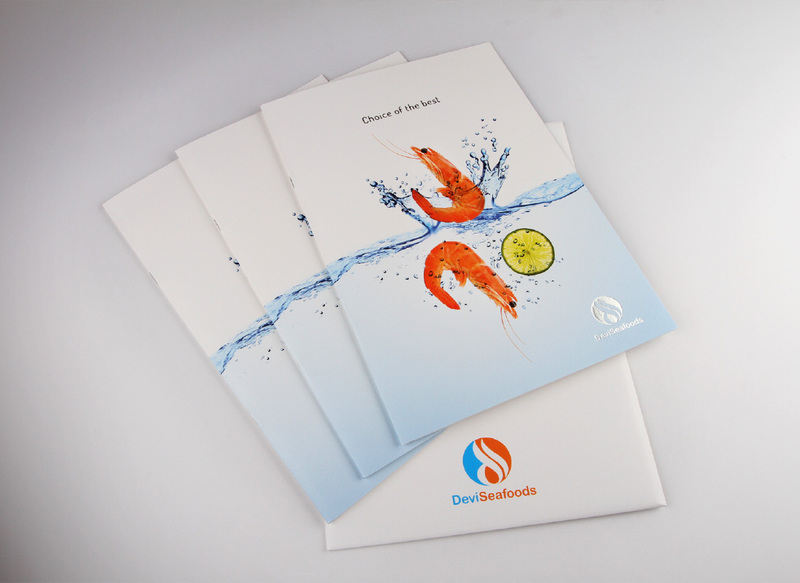 The magazine advert designed for a seafood magazine, reflected the deep pride Devi Seafoods takes in their unbroken food chain from - farm to fork. 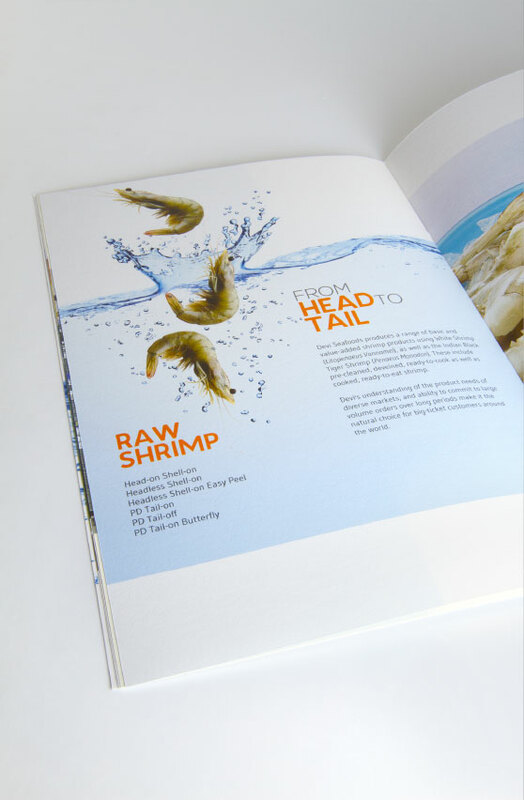 The focus here was to showcase the crux of the company’s business through its two most important areas - shrimp farming and processing.